Conquer the world—check. Assume the title Dark Lord Emperor—check. Job done. Or not so done. Morden Deathwing thought he could kick back and enjoy holding sway over the world but no. There just wasn’t pleasing some people. Something was going to have to be done. Something drastic. I love this series. The author takes all the classic dark lord tropes, and both mocks and celebrates them. 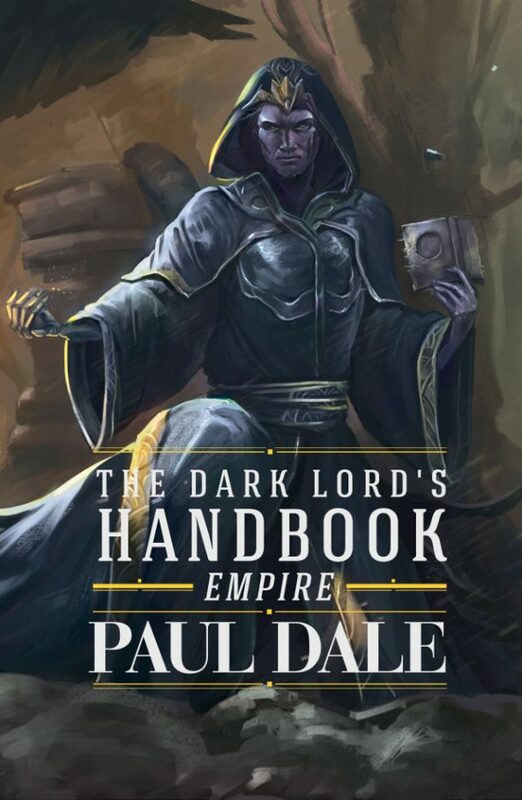 With classical references and sharp wit, Paul Dale has written a master piece in his finale for the dark lord handbook. Of your a fan of villains you MUST read this story. It leaves both a satisfying ending and a hunger for more. Wow I really enjoyed this story. I literally could not put it down. The Dark Lord is a liked legend character the lines between good and evil blurred. I guess I rooting for the alleged evil side to win. Anyway I enjoyed all the high jinks and shenanigans along the way. I loved how this series is unpredictable, funny and is light in a dark overlords kind of way. I hope there is a follow up series to this one.